House for sale in the Philippines – more than 35% discount! – more than 35% discount! 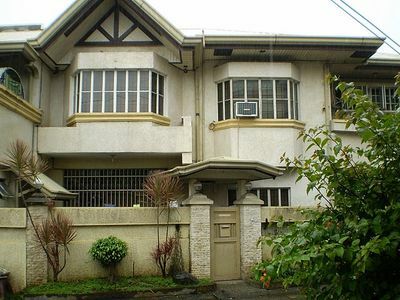 Worth P11M, this house for sale in the Philippines must sell for P7M! 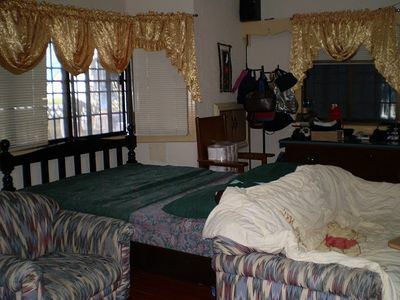 This is a bargain compared with other homes for sale in the Philippines. And this house and lot real estate for sale comes with good location. This home fits OFWs, Filipino immigrants and their families. It is in Springhomes Subdivision in Bucal, Calamba City. You can drive for 5 minutes to reach Pansol - the Resort Capital of the Philippines. 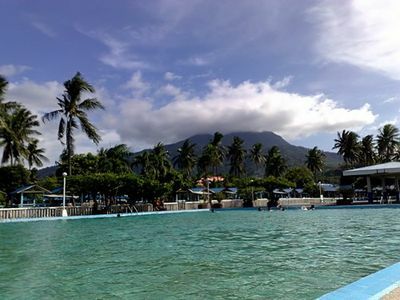 Pansol attracts tourists with its hot spring resorts, known to cure many illnesses. Retire or settle your family here without giving up the comforts of modern living. Calamba is a first class city in the province of Laguna. It is 54 kilometers south of Manila, about an hour drive. It hosts part of the Makiling Forest Reservation being built for eco-tourism. It is also the birthplace of Dr. Jose Rizal, the Philippine national hero. The house is fully furnished with home appliances and furniture. The king-size beds, dining and sala/living room sets, air-condition units and many more will go with this Philippine real estate for sale. You will save money and time in furnishing the house. Such a good bargain does not come often. With this kind of property and good location, other buyers will be eager to close the deal. MoneySense magazine listed Calamba as one of the top 20 best ‘places to live’ in the Philippines in its March-April 2008 issue. MoneySense focused on three criteria to come up with its list: dynamism of local economy, infrastructure and quality of life. This means that the City has stable prices of goods and services and prospects for income, job and business are good. It is a major growth center in the CALABARZON area. A number of industrial parks and business estates are based here. Internet, banking, education and transport services and cell phone signals are within easy reach. It maintains safety and cleanliness, access to health services and enough rest and leisure facilities to raise average lifespan of its people. Isn’t this a good place to retire or raise a family? You and your family can enjoy good living and better quality of life here. 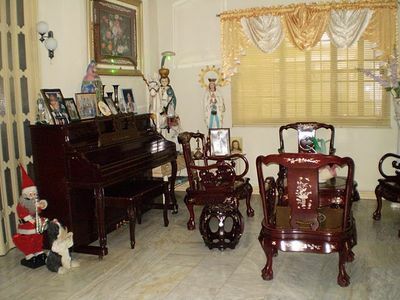 What more can you ask for with this house for sale in the Philippines? Click on the links below to see other visitors' questions about this house for sale. How to purchase this house for sale in the Philippines?